Compact, light, stylish and safe. The RECARO Easylife stroller is perfect for going out and about with your little one from six months old up to approximately 3.5 years. 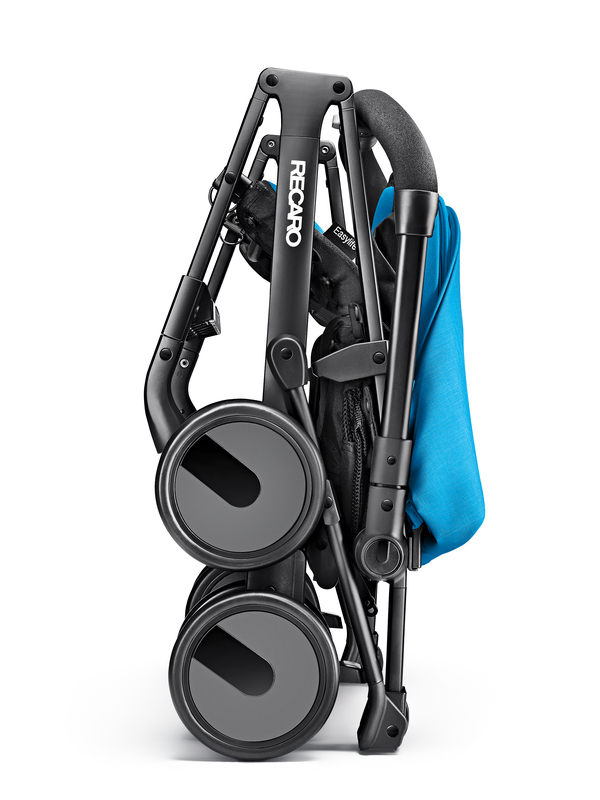 The light weight, full suspension stroller has a practical one hand folding mechanism which fits into the most compact areas. The light weight and compact folding design ensure it is one of the lightest in its category. With just one hand, the Easylife can be easily folded down in seconds, allowing it to comfortably fit into the smallest of spaces. The eight wheeled stroller is manoeuvrable with full suspension and it has front swivel lockable wheels with easy to use, colour coordinated push-on push-off brakes. The large shopping basket underneath and continuous handle bar are both useful and convenient. Fitted with an adjustable 5-point harness for optimum safety, multi recline positions as well as a large sun canopy, your child will be safe and comfortable. The breathable mesh fabric and foot plate add further well-being for your little one. 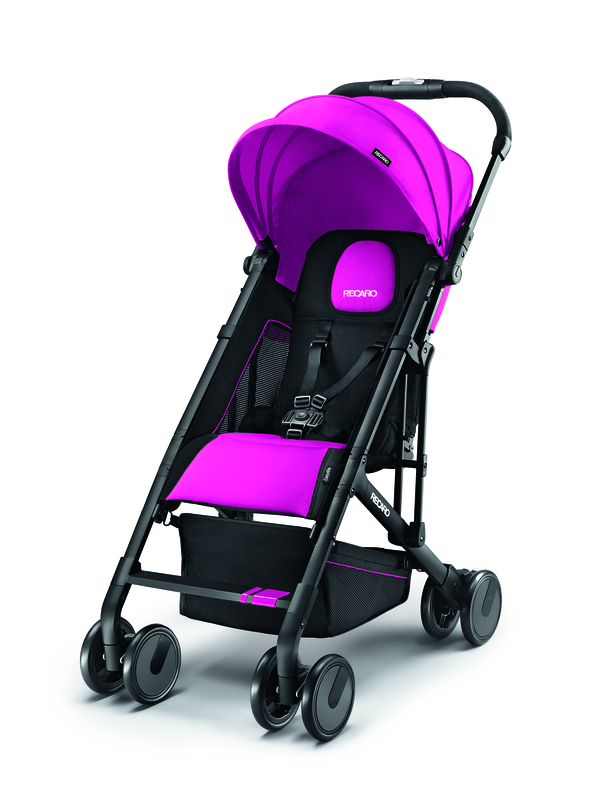 The six block colours, Ruby, Sunshine, Lime, Pink, Saphir and Graphite, complete the look of the stylish stroller. The Easylife has an exciting range of accessories available too; a rain cover, a mosquito net, a bumper bar and cup holder as well as a travel bag to transport your Easylife whilst protecting it against dirt and damage. Adaptors for the RECARO Privia infant carrier are also available. The RRP of the Easylife is £189.00 the accessories are individually priced and all are available nationwide. For your chance to win The Award Winning Recaro Easylife visit us at www.facebook.com/lovedbyparents ‘like’ the post and write the words ‘Easylife’ in the comment box on the LBP page. Competition closes on the 1st July 2016.